Relish the spectacular panorama from Livigno's highest viewpoint. Enjoy traditional local food and excellent wine with great company in a cosy alpine setting. Grab a quick snack to fuel your day on the slopes. Or delight your gourmet taste buds with top-notch cuisine. And afterwards? Relax on a sunlounger and soak up the alpine sun. 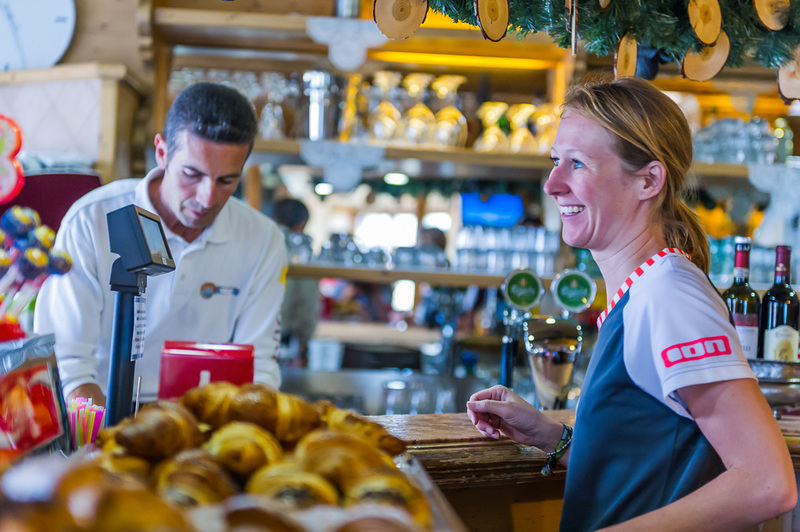 The Carosello 3000 refreshment centre is located at the top of the San Rocco gondola (no.11-12) and is the biggest (and highest) mountain refreshment area in the resort. 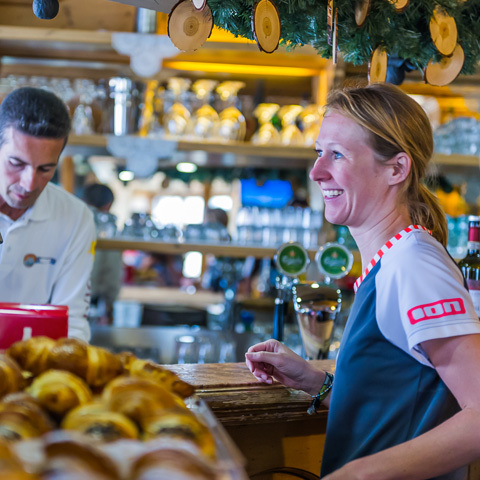 On the top terrace there is a bar, self-service restaurant with panoramic views over the Livigno valley and a pizzeria-snack bar where you can grab a quick bite. On the lower terrace there is the La Stuvetta gourmet restaurant and spaghetti house (closed during the summer). The refreshment centre offers free Wi-Fi and a large sun terrace. You can soak up splendid views across the whole of the Livingo valley as well as the unspoilt Federia Valley. Don't miss out on the fun of a great day out above the clouds with your nearest and dearest. Check out the summer rates page. 8.30 a.m. - 4.00 p.m. The Carosello 3000 refreshment centre is right at the top of the gondola no. 11-12.